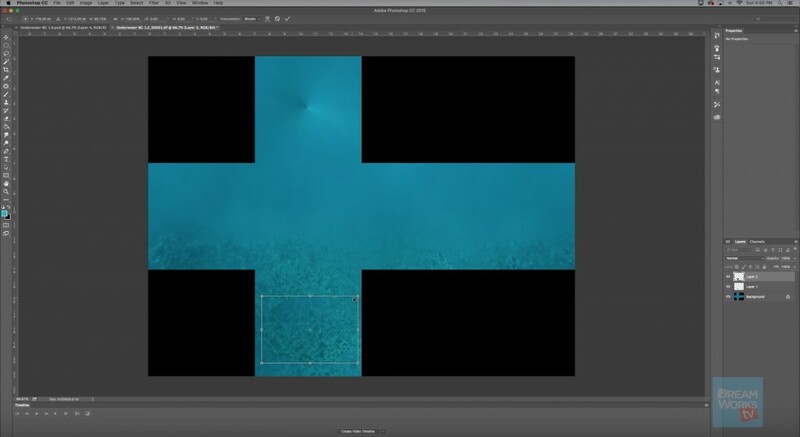 Aton Sanz-Katz, Animator/Director at DreamWorksTV shows how to create an underwater 360 scene from 2D PhotoShop images. 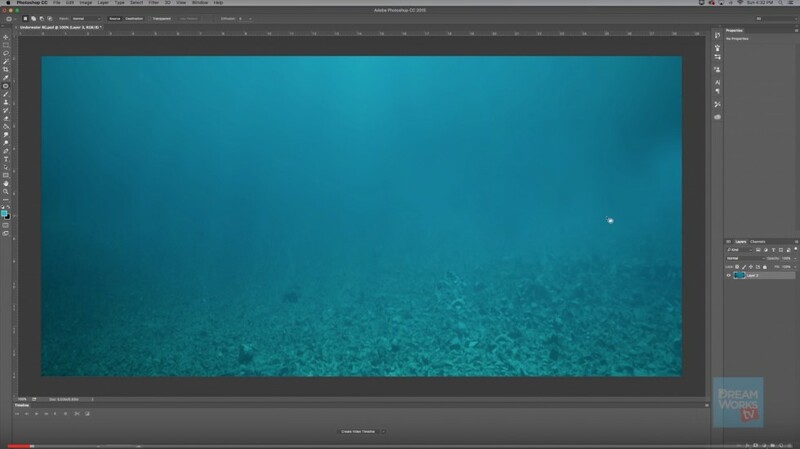 He starts off with a flat underwater stock shot, and makes it into a seamless 360 background. 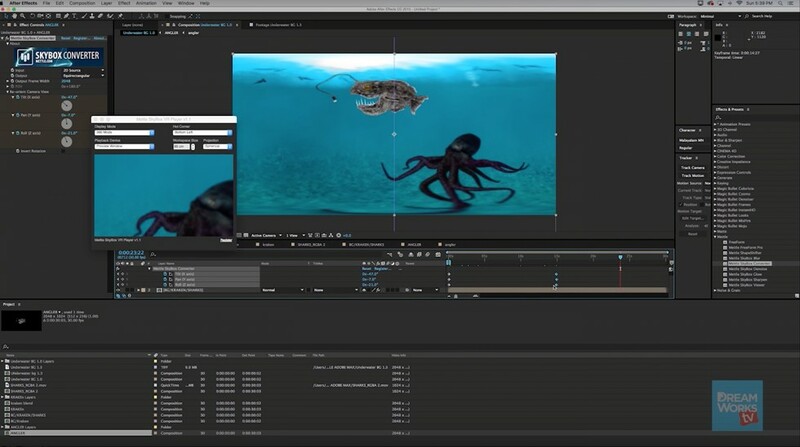 He adds a Kraken and an Angler into his scene, all PhotoShop images that are animated in After Effects using the Puppet Pin Tool. 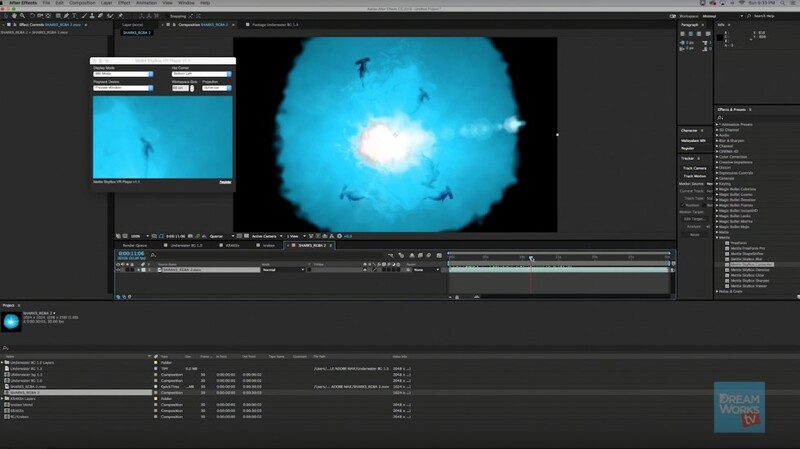 He brings the scene into 360 format with Mettle SkyBox Studio. It is a technique that was used to create the underwater scene in the DreamWorksTV 360 Music Video, “Mama Said by Lukas Graham – Cover by Mackenzie Sol. The 360 footage of Mackenzie Sol was shot in studio. A regular stock shot was the starting point for the underwater scene: 20148 x 1024 equirectangular format. Half the image was copied and mirrored. Then the Offset filter was used to show the seam and use the Patch tool to clean it up. The cleaned up image is brought into After Effects, and converted from Equirectangular into Cubic Cross format with SkyBox Studio plugin. The Nadir and Zenith are retouched to remove the pinching. 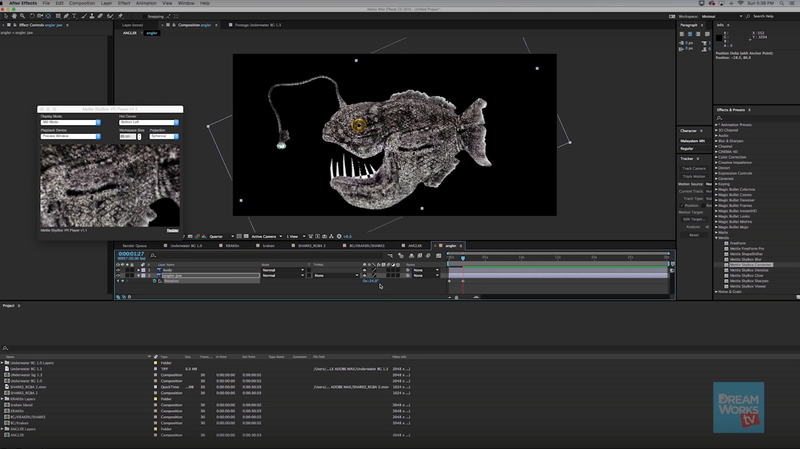 An animated sequence, created with 2D fish, a lens flare and some Ae effects is positioned at the Zenith. 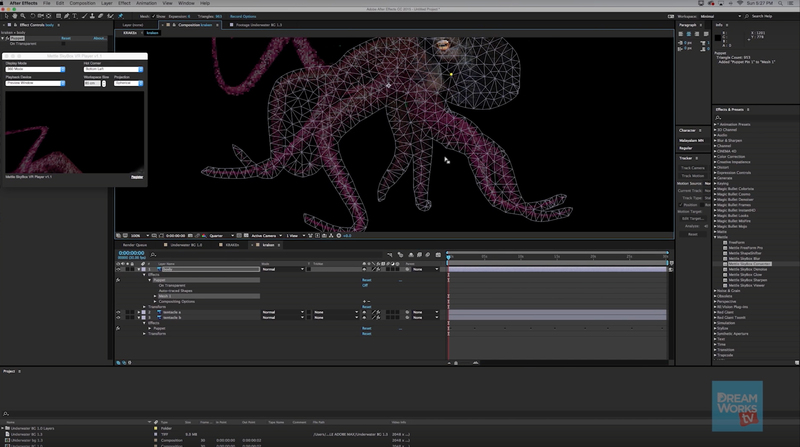 A 2D Kraken is animated in After Effects with the Puppet Pin Tool. An 2D Angler is also animated in After Effects with the Puppet Pin Tool. 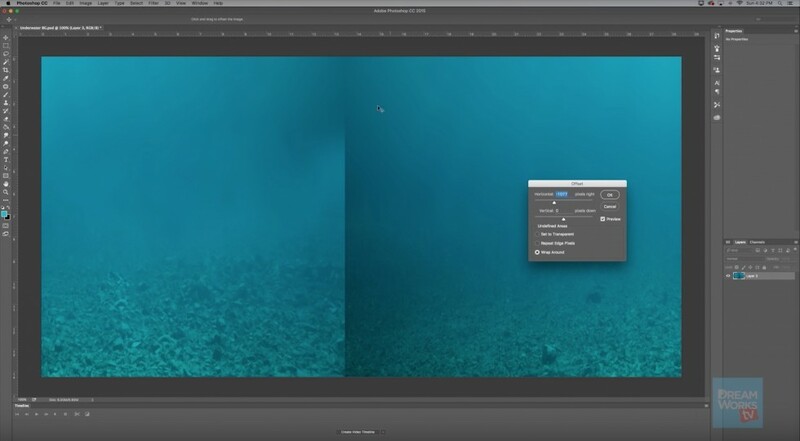 All the separate 2D animations are layered over the 360 water background in After Effects.